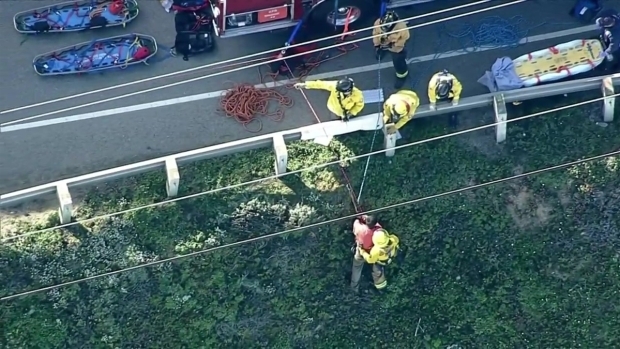 Man Rescued After Vehicle Plunges Off 'Devil's Slide' Cliff in Calif.
A man was pulled to safety in a dramatic rescue Friday after his vehicle plunged into the Pacific Ocean off a cliff near Devil's Slide in San Mateo County. Christie Smith reports. 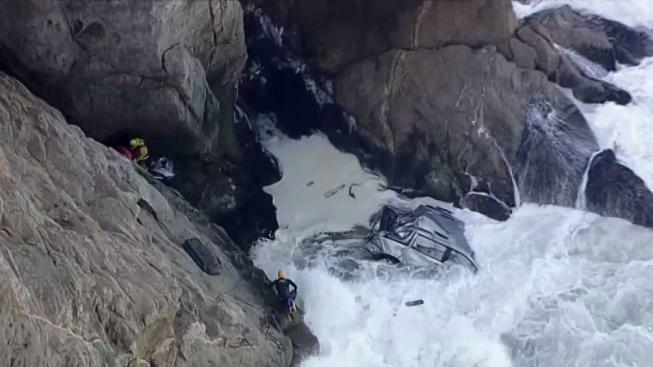 A man was pulled to safety in a dramatic rescue Friday after his vehicle plunged into the Pacific Ocean off a cliff near Devil's Slide in San Mateo County. 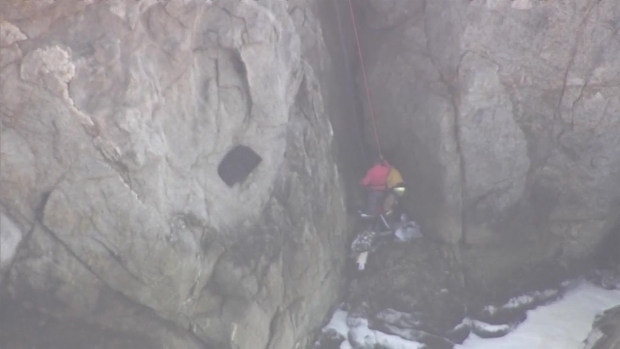 The gray minivan went over the cliff off the picturesque Highway 1 at Montara State Beach, according to the U.S. Coast Guard. The van fell approximately 150-175 feet before it hit the ocean, Cal Fire Battalion Chief David Casgrave official said. Helicopter video showed officials hanging to the side of the cliff, with one rescuer rappelling down the cliff and returning to the street with a man wearing a red shirt as ocean waves pounded the smashed vehicle. Chief Gasgrave said the driver lost control of the car before it went over the edge. A witness called 911 and officials were able to rescue the driver, who was the only person in the vehicle. It wasn't immediately clear how the driver lost control of the van. The man suffered non-life threatening injuries and appeared to be walking. He could be seen limping toward the ambulance. He was transported to San Francisco General Hospital where he's recovering from minor injuries and hypothermia, officials said. Devil's Slide is a steep, rocky coastal promontory located about midway between Montara and the Linda Mar District of Pacifica. It is characterized by eroded slopes.